I must say that one of my favorite things about the holidays is the food. Favorite family recipes, homemade pies, chocolate caramel bits, sugar cookies, buttered rolls…and it goes on and on. So, tell me – is it possible to avoid weight gain during the holidays, while still enjoying a slice of pie? I say yes! It is possible. 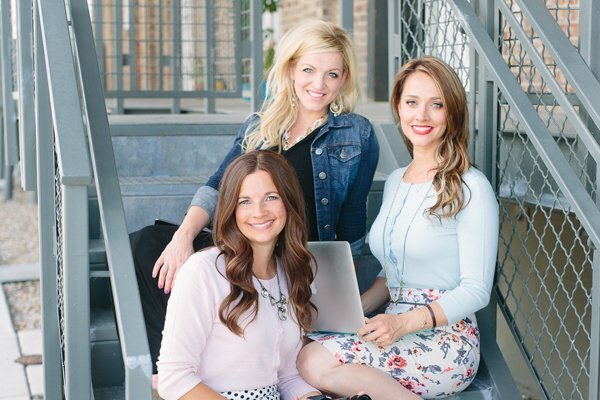 To make this post not just my own opinions about the topic, but instead a variety of personal experiences, I decided to turn to my three sisters because they are my biggest cheerleaders when it comes to losing or watching my weight. They are my support system, and together we have tried almost every diet out there. Truthfully, we love to eat the family recipes that only get made once a year, but at the same time we don’t want to spend the next six months trying to lose what weight we gained in a few weeks. My older fitness expert sister said to me–the holidays are not about losing weight. It’s all about maintaining weight. Don’t set yourself up for failure by starting a new diet plan right after Thanksgiving. Instead, wait until January to start losing weight. But that doesn’t mean to eat your way through the holidays either. 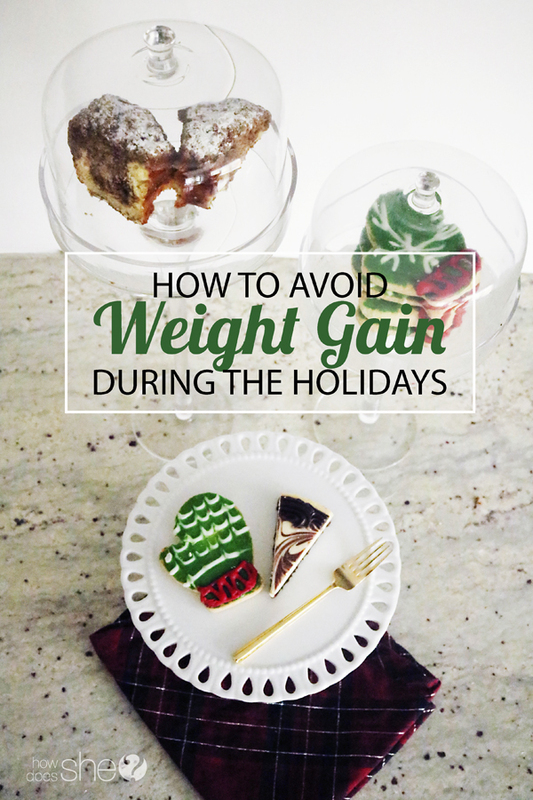 After talking and discussing with my sisters, I compiled a list of 10 must-dos to avoid any additional weight gain this holiday season. 1. Drink two big glasses of water before mealtime. The water will help you feel full and as a result you probably won’t eat as much. 2. Eat until you are full, not stuffed. One way to do this is using a smaller dinner plate. This is a good way to trick the brain into thinking you are eating a lot when a small plate is completely covered in food. But in reality a smaller plate means fewer calories. 3. Load up on the protein. Eat that turkey and ham. Protein helps maintain healthy weight and will make you feel full longer than carbohydrates. So if you think of the plate size, vegetables and fruits should make up half of the plate. The other half of the plate should be split between protein and carbs with protein taking up 60% of that other half of the plate. 4. Limit the consumption of white breads and pastas. I know homemade rolls are so yummy, but instead of having three rolls, limit it to one roll and load up on that protein. White flour is made of simple carbohydrates, which breaks down quickly in the body and as a result makes the body feel hungry faster and that’s where overeating happens. 5. Choose one day of the week as a cheat day. That means have one day that you can have sugar and white carbs as much as you please. This is a practice my sisters and I do all year round, and I highly recommend it. I like to choose my cheat day on either Friday, Saturday or Sunday, depending on what is happening in my schedule. On my cheat day, I will allow myself to eat cookies, cake…whatever I want. But then the other six days, I’m really good on what I eat and have no sugar and no white flours/simple carbs. If there is something during the week that I want to eat, I save it for my cheat day. By the time it’s my cheat day, I really can only eat so much sugar without feeling sick to my stomach. So I still enjoy desserts, but I don’t overload on the sugar because my body just simply doesn’t want it. 6. Eat only sweet goodies that you made. That means don’t eat sweets that are store-bought or given too. Let your children or husband eat the sweets that a neighbor or friend brought over. Eat only the sweets that you put time and energy into. And if there are sweets or candy that you love, save it for your cheat day. Which means, hide it, then when it’s your cheat day you will remember where you put it. Out of sight, out of mind. 7. Drink tea at night. If you are someone who is use to having dessert after dinner, instead make hot tea and add honey to it. This is a trick I like to do to curb any cravings I have of sugar. I like to buy yummy flavors like vanilla hazelnut, apple cinnamon, mint chocolate tea to make it seems like I have a little dessert in my cup. Also, this is a great way to de-stress, which is what we all need during the holiday season. Like my sisters are to me, have someone you can exercise with, or someone who will be a support system to you during the holidays. I always feel accountable to my sisters if I have sugar not on my cheat day. We are always checking in with each other and encouraging to do our best. So, choose a buddy who can give you that support. The winter time can be tough, and if you are inside everyday and not getting your blood flowing, the chances to binge or overeat drastically increase. Grab your tennis shoes and go walking with your family or support buddy. Sign up for a turkey trot or a local 5K. Take the stairs instead of the elevator, park your car farther away so you can walk to the entrance. Go hiking. Play football the morning of Thanksgiving or a before a big holiday meal. Buy new exercise clothes, just so you get excited to wear them! 10. Use alternative sugars and grains. I posted healthy baking alternatives last month for cutting out sugars, grains and dairy. My honey pumpkin pie is my favorite and actually healthy. My mom has a really yummy maple sweetened whipped cream that tastes better than any whipped cream made with refined sugar. There are many healthy dessert recipes out there that you can enjoy and not feel like you are being cheated from the holiday goodies. What are some of the tips you do doing the holidays to not gain weight?? Come visit me and see more of my ideas on my blog!